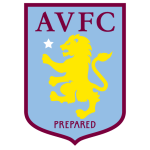 Brentford vs Aston Villa predictions ahead of this Championship clash on Wednesday night. The Villains head into this clash aiming to boost their playoff hopes. Read on for our match preview and free betting tips. Aston Villa head to Griffin Park on Wednesday night, for what could be called the Dean Smith derby. The Villains lured boyhood fan Smith to the club earlier this season, derailing Brentford in the process. When these two met at Villa Park earlier this season, the Bees were in form and pushing for promotion. Their trip to a struggling Villa side was still seen as a major test, with Steve Bruce then at the helm. Plenty has changed since, but yet again this is a test for the Bees’ recent form. The hosts may not be in the fight to go up any longer, but they are playing some good stuff. The weekend brought a 2-1 loss at Nottingham Forest, but 2019 has been kind to Brentford so far. They’ve lost just once, and they’ve managed to climb the table after some good results. They have also made it through the FA Cup to reach the last 16, which they will turn their attention on at the weekend. Before that, will they be able to see off Aston Villa on Wednesday night? The visitors are sat in 10th place, eight above Brentford. However, the poor form that Villa have shown has made them the underdogs for this clash. They come into this game on the back of a 3-3 draw with Sheffield United, having to fight back from 3-0 down to secure that point. That result wasn’t the worst for Villa, but it only left them further shy of the playoffs. Villa are six points shy of the top six, having played a game more than the teams in the playoff mix. The bad news for them is that the gap could grow, based on how the visitors have fared in previous trips south. Aston Villa have lost 12 of their last 14 league visits to London (W2), losing each of the last five in a row. While the capital hasn’t been kind to them, overall they’ve managed to win just four of 15 trips this season. 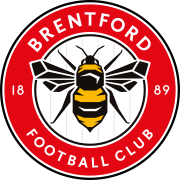 Brentford lost four of Thomas Frank’s first five home matches in all competitions (W1) but have since won five of his subsequent six at Griffin Park (D1), including each of the last four. They hammered Blackburn 5-2 in their last game here, while they’ve won five of their last seven to make a great start to 2019. With 19 goals in their last six games, the Bees should have enough firepower to win this clash. We’re backing them to secure the points, while we’re tipping a 2-1 home win. Dean Smith is set to face Brentford for the first time since leaving them for Aston Villa – he has won just one of his seven league games against the Bees, all as Walsall boss (D4 L2). Aston Villa have seen over 2.5 goals in five of their last six league games.